Finally, a t-shirt that gets what living in the city is all about: the pigeons! You know you guano buy this t-shirt. The people at Random Objects certainly agree. 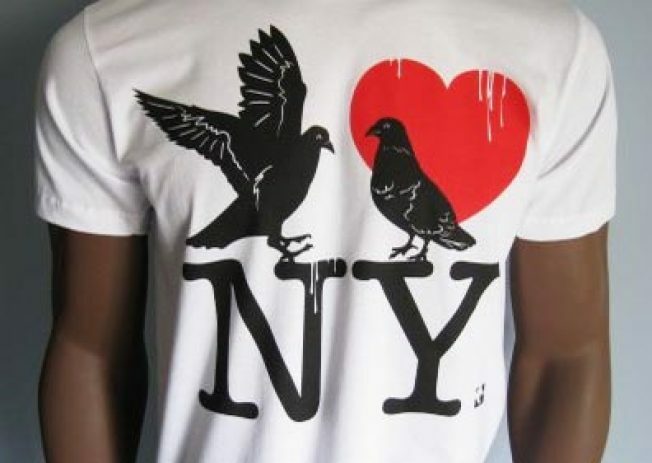 In outraged response to a proposed law that would impose a $1,000 fine for anyone caught feeding pigeons, they've created this excellent Pigeons Heart New York t-shirt, complete with realistic guano. It's just $20 - show the pigeons you care. Grab it via Thrillist over here.